» Philip Green gives some money back to BHS pensioners-Will he give back the rest ? Philip Green gives some money back to BHS pensioners-Will he give back the rest ? Sir Philip Green has agreed a £363m cash settlement with the Pensions Regulator to plug the gap in the BHS pension scheme. Workers will get the same starting pension that they were originally promised. It brings to a close a long-running negotiation over benefits for former workers of the collapsed retailer. The regulator had launched enforcement action against Sir Philip and other former owners of BHS. Sir Philip, who had promised to “sort” the pension scheme, said: “I have today made a voluntary contribution of up to £363m to enable the trustees of the BHS Pension schemes to achieve a significantly better outcome than the schemes entering the Pension Protection Fund (PPF), which was the goal from the outset. “The settlement follows lengthy, complex discussions with the Pensions Regulator and the PPF, both of which are satisfied with the solution that has been offered. The tycoon, who with his wife Cristina is estimated by Forbes to be worth £3.8bn, said: “Once again I would like to apologise to the BHS pensioners for this last year of uncertainty, which was clearly never the intention when the business was sold in March 2015. The negotiations centred on getting the 19,000 members of the scheme a pension that was closer to the one they were originally promised. Usually, failed pension schemes are rescued by the Pension Protection Fund, which pays out a reduced amount. Had the PPF taken on the scheme, members aged under 60 would have seen a 10% reduction in their starting pension. Following Sir Philip’s cash injection, they will now be transferred to a new scheme with the same starting pension that they had originally been promised. Subsequent payments will not be as generous as they had originally thought had the retailer survived, owing to less inflation protection. On average, the new scheme will offer members of around 88% of the value of their full BHS scheme benefits. Yet, these long-term payouts are better than they would have been under the PPF. Benefits payable in retirement and built up prior to April 1997 will increase at 1.8% per year. Members can opt to take a lump sum if they have a pension pot of up to £18,000. There will be no cap on pension payouts, which would have been the case under the PPF and would have hit those with bigger pensions. Current pensioners will also receive a lump sum to make up for any underpaid pension benefits since March 2016, when the scheme, in effect, was under PPF rules . The Pensions Regulator chief executive Lesley Titcomb described the deal as “strong”. There was an estimated £571m hole in the BHS pension covering all future payouts. The potential of taking on such a burden was seen as one of the reasons that BHS failed to find backers or buyers for the business at a whole. In practical terms, the hit to the PPF of taking on the scheme would have been £275m or more. 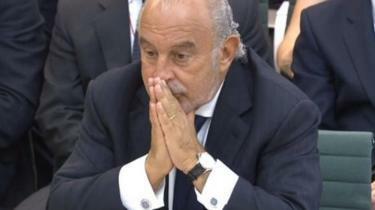 Sir Philip initially offered £250m, but the regulator had sought at least £350m – an ambition that it has now achieved. Another £20m from Sir Philip is being used to cover expenses. MPs had also called for the Topshop billionaire to be stripped of his knighthood. He was grilled by a committee of MPs over the sale of the chain, which he owned for 15 years before selling it for £1 to former bankrupt Dominic Chappell. Mr Chappell is still being pursued by the regulator. Anne and Keith Bostock, from Stockport, met while working at BHS. She worked in customer services, and he was on the tills and in deliveries. Anne worked for BHS for 42 years, and Keith for six. “A lot of pensioners will feel a bit better about it, but it has taken a long time,” said Keith, regarding the deal. “It is a case of doing just enough to keep him [Sir Philip] out of trouble. Frank Field, who chairs the Work and Pensions Select Committee and who had suggested the retail tycoon’s yacht could be seized to help shore up the pension fund, said: “I very much welcome this out-of-court settlement, which is an important milestone in gaining the justice for BHS pensioners and former workers that we have been pushing for since beginning our inquiry into the downfall of BHS. “I think there are a lot of other issues which are not solved by this which we will obviously be looking at and the courts and everybody else will be.